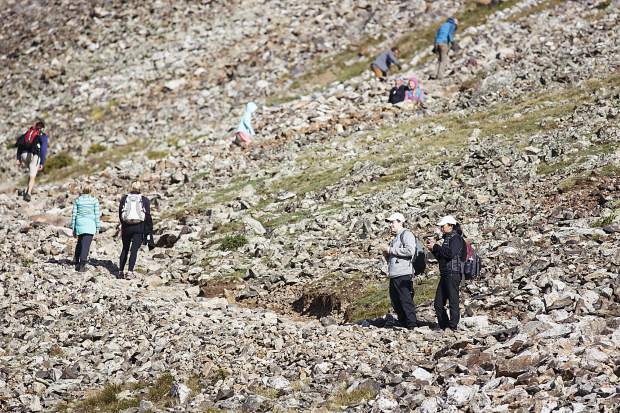 Several groups of hikers walk along the main trail to Summit County's Quandary Peak last August, one of the state's busiest hikes. BRECKENRIDGE — Dozens of land management agency and outdoors representatives from across the state packed into a conference room at Beaver Run Resort in Breckenridge last week to attempt to answer the following question: What’s the best way to relay proper wilderness ethics to millennials? 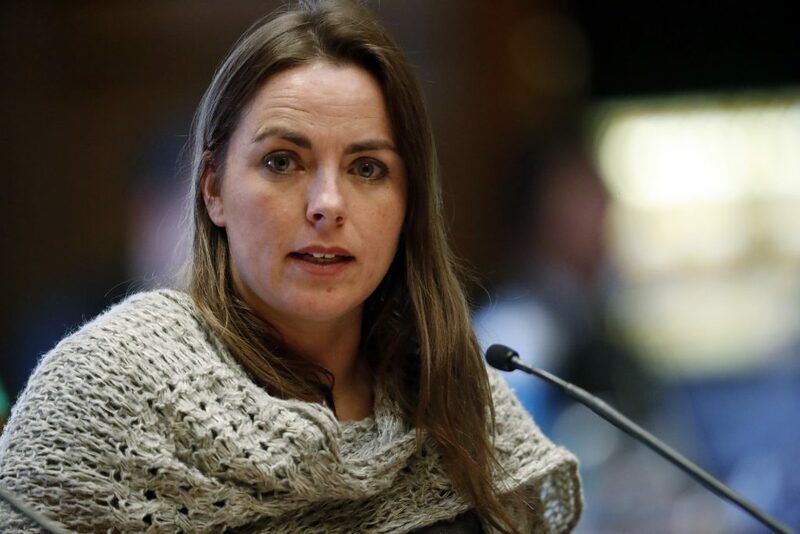 The discussion was centered on a presentation led by Vanessa Mazal, senior program manager for the Colorado Parks Conservation Association, and a group of environmental studies students at the University of Colorado Boulder. This year, Mazal and the students, who are pursuing their master’s degrees, have put together a capstone project that will result in a guidebook they will share with land-management agencies. The guidebook will glean information from literature reviews, stakeholder conversations, focus groups and an online survey that launched earlier this week at cuboulder.qualtrics.com/menu/npca. The presentation and conversation touched on several different topics, outlined below in nine key takeaways. But the overall conversation centered on what is driving millennials to recreate in the wilderness when these same people may not have ventured there in past generations. And the answer to that question, from both the presenters and attendees, centered on how the variable of social media has changed many of their reasons to go outdoors. 1) “Adrenaline movement” — That was the term Mazal used to describe how many millenials are seeking to go to places or attempt things in the outdoors that may be against the law, unsafe or out of their comfort zone. During the discussion, attendees asked if and how things such as adventure films and videos and online contests or challenges may be encouraging millenials to attempt these things. “Perception of this kind of lifestyle they want to live is a lot of what drives these bad ethics,” one attendee said, “and have you considered the use of thought leaders in millenials? 2) Geologic graffiti — The students relayed that several stakeholders they spoke with mentioned how graffiti on natural surfaces and rocks at national parks is on the rise in the Southwest. This reality echoed the sentiment through the discussion that many millennial recreationalists new to the outdoors within the past decade simply don’t know proper wilderness ethics, as demonstrated by the following anecdote from a hike to Half Dome in Yosemite National Park. 3) How to humor — Focus group research suggested millenials will listen with a humorous message, though that message should be fully comedic and, if necessary, even a bit crass. 4) Leave “Leave No Trace” behind? — Toward the end of the session, one attendee suggested programs such as Leave No Trace, with its detailed seven principles, are simply too much for most millenials to digest before a maiden trip to the wilderness. “Messaging has to be shorter, faster, precise, not ambigous,” the attendee said. 5) Instagram is greater than Facebook — Mazal and the CU students were adamant that if the land management agency representatives in the room were targeting their millennial audiences via Facebook, to redirect those efforts to Instagram. 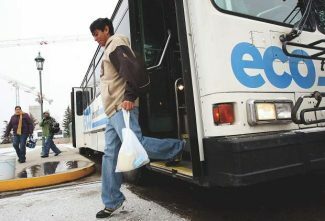 “It’s a starting place before they look into further where they’d like to go,” Hasovec said. 6) Selecting signage — The group said they were surprised to find that simple signage deterred millenials better than more complicated, even artistic signs. 7) No more cereal boxes — Another key topic was that the communication space between land-management agencies and millenials is more segmented than ever before. Case in point: Not every one is reading the same messages from the backs of cereal boxes anymore. 8) Urbanization trend — Mazal also highlighted the variable of more people living in cities compared to 30 years ago. With the trend, it means more recreationalists may be coming from locations where they are just not aware of proper ethics. “That is definitely a trend that helps to compound the problem,” she said. 9) Getting outside the bubble — Tigges said the group also realized the importance of reaching, say, people who are more interested in bitcoin than Backpacker Magazine. The reason being? That those reading Backpacker Magazine are already in tune with principles and ethics, while those bitcoin miners may just not know enough before their trip. “We want to be very inclusive in our survey and messaging to make sure we are reaching the kid from New York City who it never occurred to him to read John Muir,” she said.